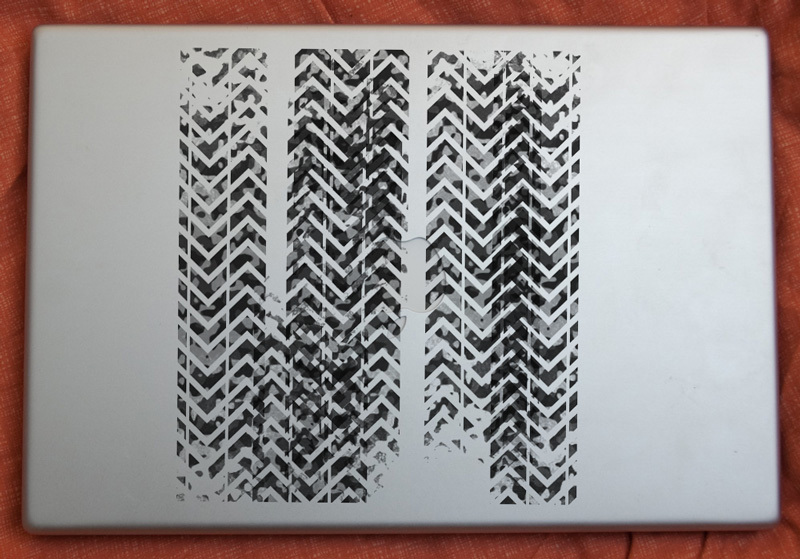 You need to listen to the podcast to hear Paul's story about what happened to his nice laptop. Does this picture give you a clue? Click on the pic to see it bigger. We start off by talking about the True Value DIY Drama contest. You can win $5000 if your story is chosen as a winner. Brian and Paul have both had some drama but Paul most recently. You MUST listen to Paul tell his drama story in the podcast. It was a very expensive story. Brian and Paul both discuss what recent projects they have been working on. First up, Brian. Brian was able to find an old tractor on freecycle. Well, nothing is ever free. The tractor needed a battery, a new fuel line and a fuel filter. Â For good measure, Brian changed the oil filter and spark plug and sharpened the blades. After adding some fresh gas, the tractor started right up.Â Not too shabby. Over the past year and a half, Brian used this tractor for some pretty heavy duty mowing. Overgrown fields and campground trails were the typical terrain. In this time, the mower has required countless replacement belts plus a few hundred dollars worth of repairs for other busted parts due to its heavy abuse. Brian and Paul discuss when is it time to cut the losses. Is it worth another $40 for a pulley assembly and another $25 for another belt? Â A tractor that is designed and built for the uses Brian is putting this old thing through is just not in the cards at the moment. Paul’s project was new counter tops. The design committee (his wife) did all the legwork. In the podcast we discuss some of the options and considerations. The decision was made to go with Granite. Granite is a professional installation but there is still some work for the Handyguy. Paul removed the old laminate counters, installed the plumbing under the new sink and has the back splash to tile. Doing these chores yourself can save money even when you are having granite professionally installed. Paul makes reference to a Fine Home building article on drain hookups. The Handyguys Podcast is asking that you consider participation in important research on consumersâ€™ thoughts on advertising within their favorite Podcasts. The Association for Downloadable Media (ADM) Consumers Attitudes on Advertising & Sponsorship in Audio and Video Podcasts research project is a survey that should take you about 10 minutes and does NOT ask for personal contact information.Please consider taking part in the survey at http://www.takethesurvey.com/rawvoice. The sooner the better! The survey is going on now and will wrap up in a couple weeks.